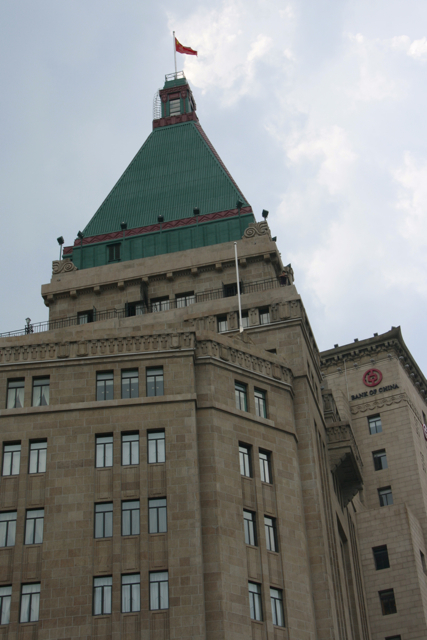 The Peace Hotel, Art Deco masterpiece on The Bund, recently re-opened to great acclaim. Known as the Cathay Hotel when it was first built by famous Shanghai entrepreneur Sir Victor Sassoon in 1929, it is Shanghai's most famous and well-recognised hotel with its iconic green copper pyramidal roof. 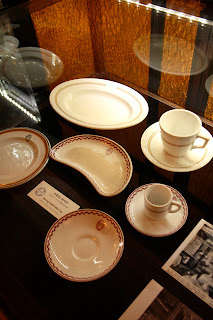 I was back there again yesterday for a function and to my delight they have now opened a tiny museum housing interesting objects from the hotel's past. The museum's curators asked locals to dig deep into their cupboards and find any 'souvenirs' they may have brought home with them from a visit to the Peace Hotel. 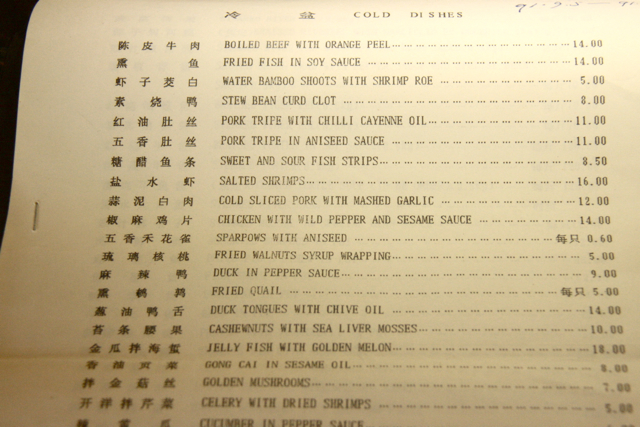 What popped up were old key tags, cards, menus, and cutlery. Interestingly, all the hotel's cards were in Chinese, English, Russian and French, reflecting the business mix of the day. I love the serrated heavy metal key-tags - 'Please Leave at Bureau' and the old heavy hotel crockery. 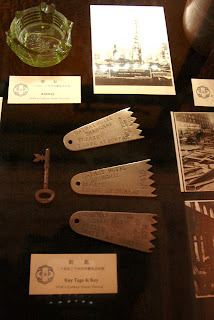 The little museum is a bit tucked away, just ask the concierge 'at the bureau' to direct you. No entrance charge.